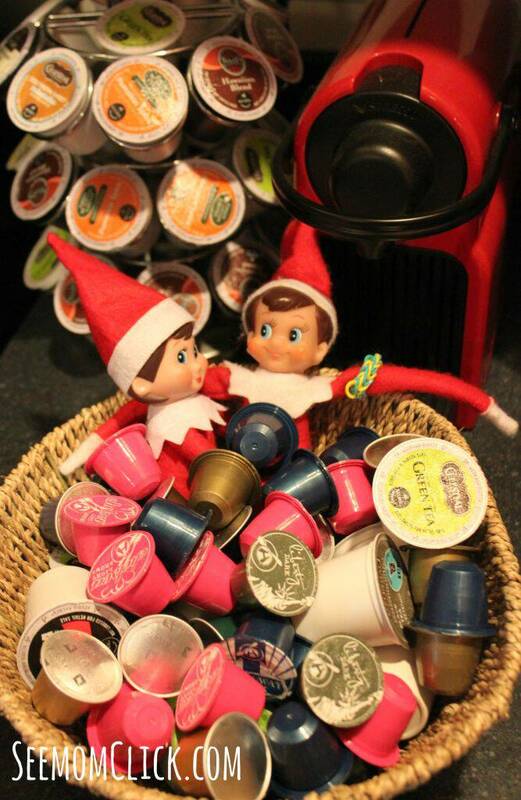 This morning the elves were found tempting fate, nuzzling inside of a basket of k-cups and espresso capsules. 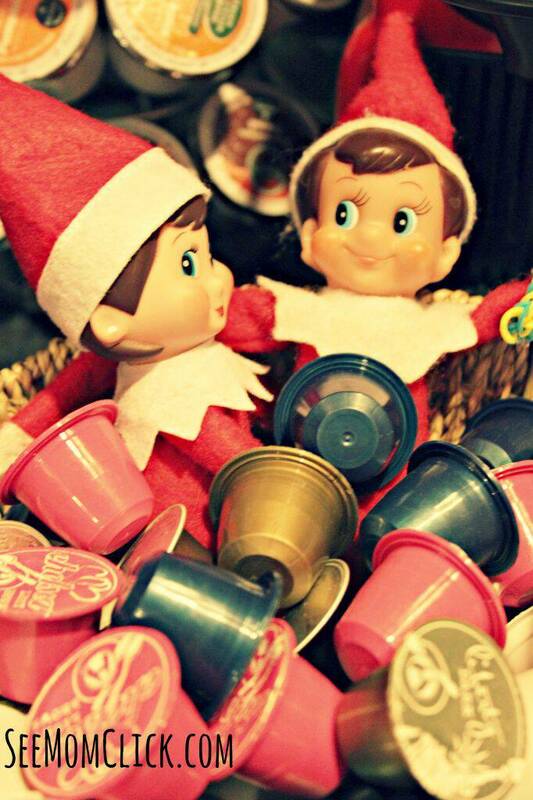 Don’t mess with Mommy’s coffee, please. These are not toys.